Your iPhone 7 battery is running out too fast since you’ve upgraded to the latest iOS 12 and iOS 11.4/11.3? You are not alone! According to a recent security research, early updates of iOS 12/11 drains iPhone batteries more than twice as fast as the previous iOS 10 did. For this serious iOS 11 and iOS 12 bad battery issue, there are a few things you can do to potentially fix iPhone 7 or 7 Plus battery issues, these can also works well on your iPhone X/8/8 Plus/6s/6s Plus/6/6 Plus/5s. First of all, you’d better see what apps have sucked the battery power, then just close or uninstall those apps afterwards. To do so, just go to Settings>> Battery, then you can have an overview of how much battery power each app have used. Then simply close those apps that are sucking a lot of your power. Low Power Mode can help you out when your battery is at 20 percent or below, then to some degree, extend your battery life when you need it. To activate this feature, go to Battery> Low Power Mode, then toggle it on yourself. Some apps keep tabs on your location that is also taking a good amount of battery power for your iPhone 7, even when you're not using them. Hence you can disable location service attempting to save battery. 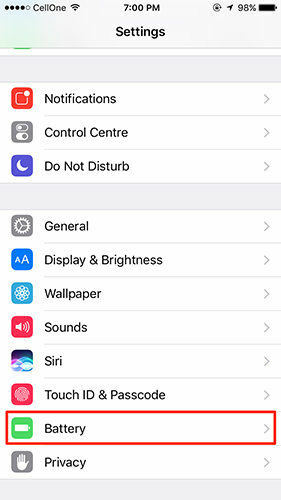 Just head to Settings > Privacy > Location Services to toggle off the feature entirely, or limit which individual apps can have access to your location info. Background app refresh allows your apps to keep working in the background and constantly refreshing and updating their contents. It can be useful, but it drains your battery in the meantime. To stop them from doing this, go to Settings > General > Background App Refresh and toggle Background App Refresh to off, or simply disable the app you seldom used. If your battery is still draining quickly, there's a chance your screen is brighter than it needs to be. In this case, we suggest you to toggle on Auto Brightness feature. Go to Settings > General > Accessibility > Display Accommodations and toggle "Auto-Brightness" to On. Or you can try to enable Reduce motion for the screen motion and brightness. Head to Settings > General > Accessibility > Reduce Motion and tap the toggle switch to turn on Reduce Motion. First off, please make sure you have iCareFone Cleaner downloaded and installed on your computer, then launch it. When the software detected your device, click "Start" to scan unnecessary files on your iPhone 7/7 Plus. Once the scan completed, you can respectively clean unwanted files by clicking Clean button alongside corresponding files you want to delete. Only with 3 steps, you can delete those unwanted files and save more storage space so that lengthen your iPhone’s battery life. If all these above methods cannot solve this battery draining fast problem, then the issue might lie with the operating system. Then you can try to have the operating system repaired. Luckily enough, this Tenorshare iCareFone has a built-in “Repair Operating System” feature, you might as well give it try. Battery draining fast is really is a pain, but hopefully those solutions are helpful to stop iOS 12/11 battery drain on iPhone 7 or iPhone 7 Plus. If you have any other ones to improve iPhone 7/7 Plus battery life, be free to comment to make us know on the below. 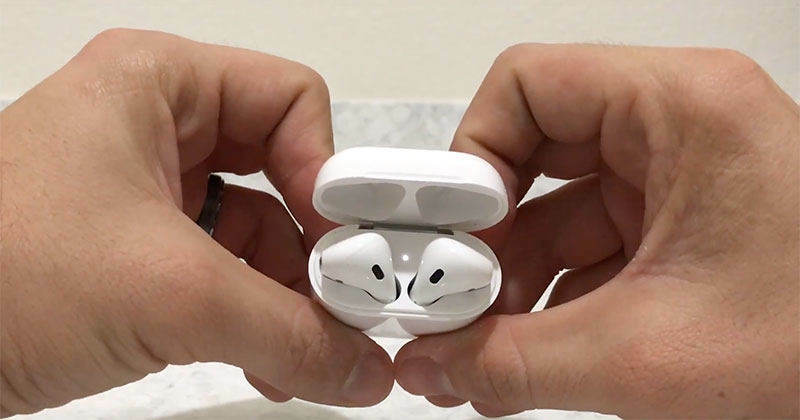 How to Fix AirPods Battery Drain Issue after iOS 12/11 Upgrade?